This week we discovered that an Island off the coast of China had a fire raging through it. The animals living on the Island were in danger and we were given the task to help rescue the animals and bring them back to our Wildlife Park. We looked at the work of the WWF and the work they do to help and protect animals. 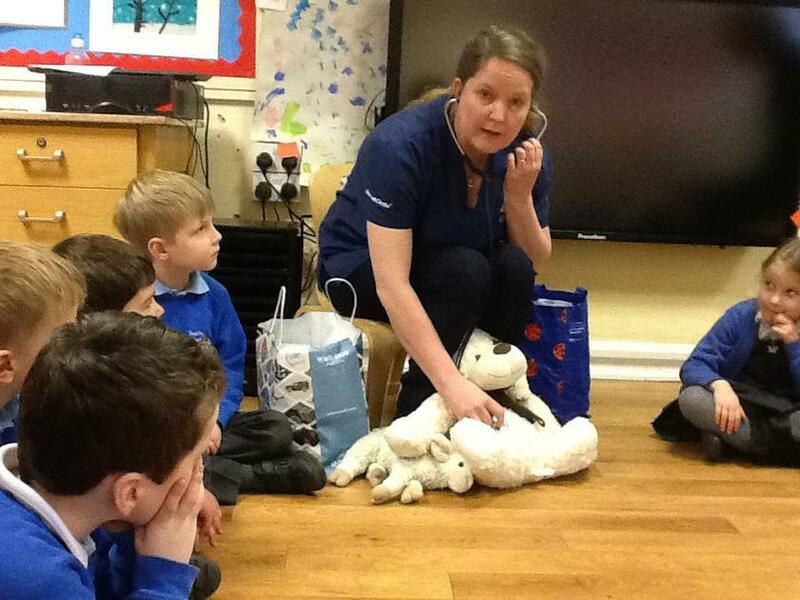 We spoke about our expertise and experience in rescuing animals and how we could be of help. We made lists of equipment needed to take on our rescue mission. We measured the heights of animals to help decide on the kinds of enclosures we would need for them. We listened to News Reports keeping us update with information on the Island. We began to create our own News Paper report to inform others of the tragic events on the Island. This week we thought about what would make a good Zoo/Wildlife Park keeper. We watched clips about Wildlife parks, made lists of the duties involved in looking after the animals. We worked in groups and made maps of Wildlife Parks and then constructed them in our construction area. We have been very creative and have sketched, mixed our own paints, and have painted wild animals. We have also made sculptures using clay. In Maths we have been measuring animals using standard and non standard units. The children also prepared animal food, by cutting up fruits and weighing them. Matilda was measuring using paper clips. Chopping and preparing fruit for the animals. This week we had a visit from William's mum, Mrs. Semple, who came to talk to us about being a vet. We also had Megan's mum, Mrs. Black come and talk to us about The Blue cross. She also brought Zog the dog (who is an educationally approved dog) to meet the children. We are very grateful to both ladies for their very informative talks and for giving up their time. We have enjoyed learning about Rudyard Kipling's Just So stories. We listened to 'How the Leopard got his spots' and 'How the elephant got his trunk' and 'How the camel got his hump' and 'How the Rhino got his skin'. The children made up their own story about 'How the Rabbit got his ears'. Mrs Semple brought lots of things to show us! Putting a bandage on the cat's paw. A pictogram of some birds spotted. Listening to Rudyard Kipling's Just So stories. Matilda's leopard..How the leopard got his spots! Mrs Black and Zog the dog. This week the children have enjoyed learning about cats. All different kinds of cats from different parts of the world. We located where some cats come from on a world map; naming continents and countries. We looked at their different markings and features. We found out what cats eat. We know that some animals are carnivores, herbivores and omnivores. We enjoyed listening to the story of 'The Tiger who came to tea.' We acted it out and sequenced events. We made lists of what the tiger might eat if he came to our house! We designed and made labels for Tiger food. We made tiger masks and collages! We made food labels for Tiger food! Rusell, Erin W, Amelie and Savannah made a tiger. Bethany chose to put skin on her elephant.